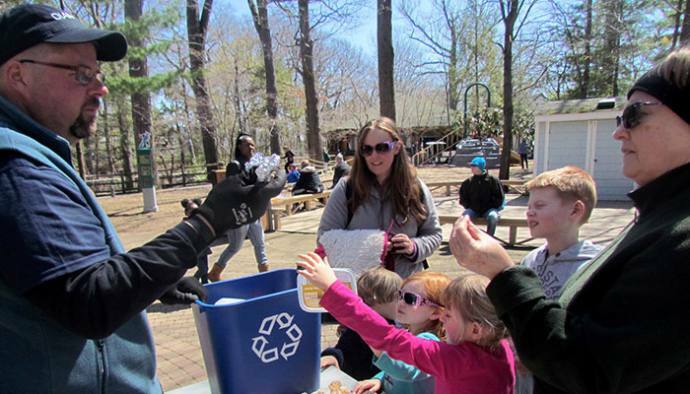 On Sunday, April 22, visit Seneca Park Zoo to learn about environmental sustainability and the simple actions people can take to make a difference for wildlife and wild places. Participate in games with Diamond Packaging to learn about recycling, create a recycled art project with the Memorial Art Gallery, learn about the Zoo’s partnership with the Department of Transportation to restore pollinator habitats, view samples of invasive species with the Partnership for Regional Invasive Species Management (PRISM), and find out how Genesee RiverWatch is working to restore water quality. In addition to scheduled animal experiences throughout the day, there will be a guided nature hike led by a Zoo Naturalist and PRISM representative in lower Seneca Park at 1:30 p.m. Guests who visit the Diamond Packaging planting station on Earth Day can go home with a tree sapling or native western New York seeds for a butterfly garden (while supplies last). All interactive programming is free with Zoo admission. Now through October 31, the Zoo is open 10 a.m. to 5 p.m. with last entry at 4 p.m.
For more information about Earth Day at Seneca Park Zoo, visit senecaparkzoo.org/earth.